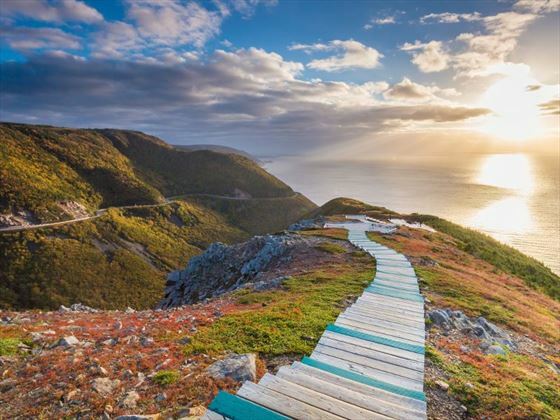 Experience the rugged beauty of Newfoundland on this five night stay in St. John’s. You’ll explore this lovely little capital, from the top of Signal Hill out to the most easterly point of North America at Cape Spear. 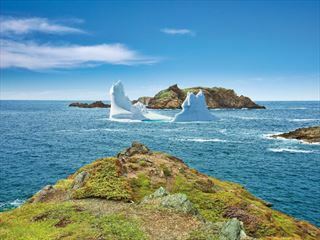 You’ll admire the spectacular coastline, drink in the pure air and see icebergs, whales and puffins on the way. There’s no need for a car, as we’ve included some great excursions and you can hike the East Coast Trail from the city outskirts. 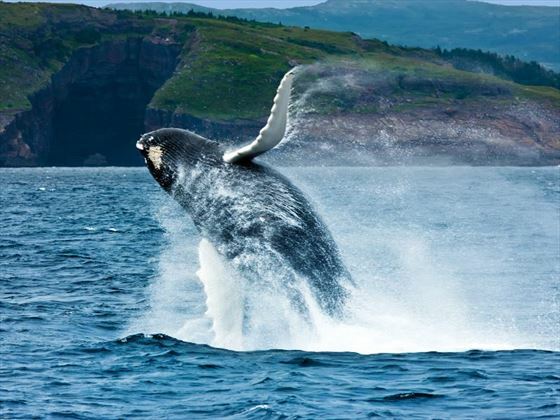 Arrive St John’s in Newfoundland and transfer independently to your hotel. There are several hotels to choose from in this tiny charismatic city. 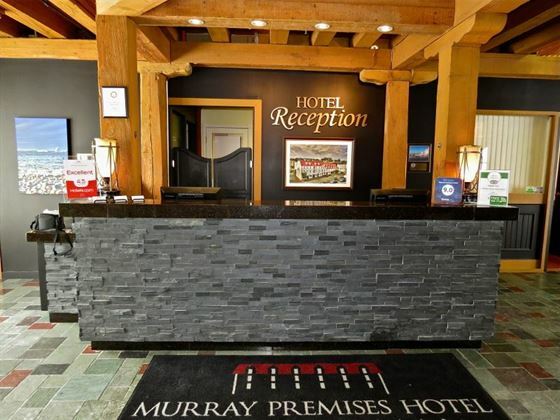 We suggest the Murray Premises Hotel as it’s full of character and centrally located, but if you want a few more facilities such as an indoor pool, then the Delta by Marriott is a good choice. This evening you’ll want to head to George Street, where you find a great selection of bars and restaurants to sample over the course of your stay in St. John’s. 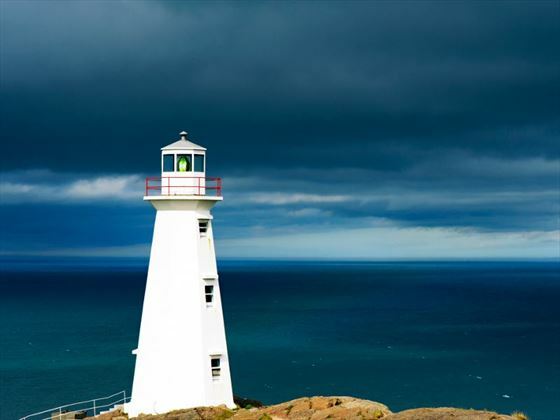 Join the “Historical St. John’s and Cape Spear guided tour, which will give you a great orientation of the city and it’s surrounds for three hours. You will be driven to the National Historic Site of Cape Spear where you may walk to a World War II gun battery and spot whales at the most Easterly point in North America. Here you will also find the oldest standing lighthouse in North America. Then you will head back into the city and be taken to the top of Signal Hill to admire the panoramic views and hear historic tales of North America’s oldest colony. 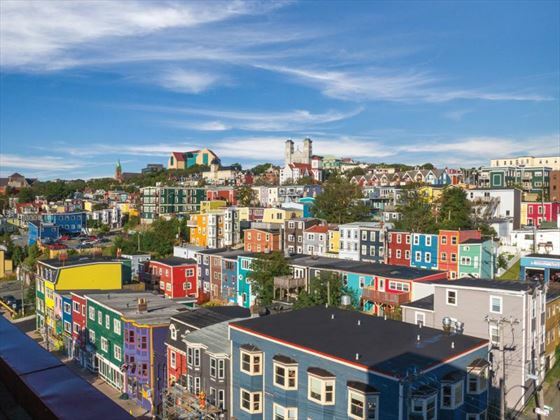 Other places of interest you’ll visit include the picturesque Quidi Vidi Village, Government House, the Roman Catholic Cathedral and an orientation of the shops and restaurants of downtown St. John’s. 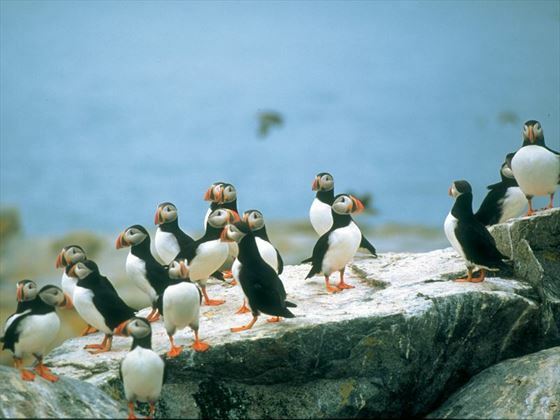 Today take the Iceberg Quest Boat Tour to see whales, icebergs and puffins. This is a two-hour narrated tour, departing from downtown aboard the M.V. Cetecean Quest. You will sail through “The Narrows” and past Cabot Tower en route to Cape Spear. 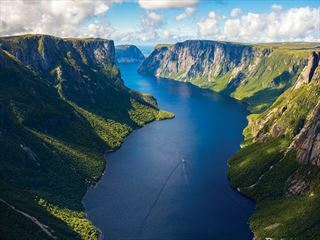 You’ll cruise through pristine waters that are home to the world’s largest concentration of humpback whales, you’ll sail past 12 year old icebergs and you’ll pass puffins frolicking along the coastline. Experience Cape Spear from the sea and discover the place where the Atlantic Ocean meets the edge of the earth. You’ll need to wear warm clothes including rain gear, and don’t forget your sunscreen and your camera. A final day to enjoy this lovely city, and we thoroughly recommend a visit to The Rooms. This is an extensive collection of artifacts, art and historical records – a fascinating insight into the province of Newfoundland and Labrador. There is also the Johnson Geo Centre, full of interactive exhibits, where you can learn about diverse things such as the geology of the area, the sinking of the Titanic and the operations of an Atlantic oil rig. Other attractions include the Railway Coastal Museum and Bowring Park. A hotel in a historic building, located in the heart of the city, close to the attractions and restaurants. There is complimentary breakfast every day, free parking and free wi-fi. A lovely place to stay in St John's. 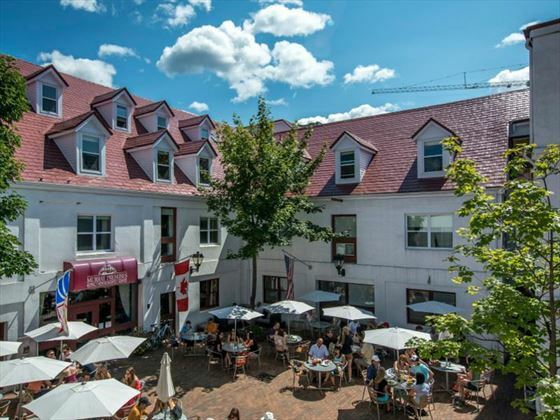 This award-winning boutique hotel blends old world charm with new world comfort. The hotel is situated in the heart of historic downtown St John’s and is part of one of the city’s most historic landmarks – the Murray Premises. 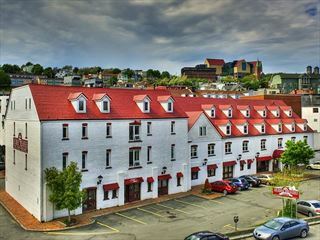 Overlooking the picturesque entrance to St John’s harbour and the Narrows, this hotel is only minutes from Signal Hill and the restaurants and nightlife of George Street. Guests can enjoy complimentary breakfast every day in the HMS Calypso Room. There is also free parking, free wi-fi and bottled water which is replenished daily.